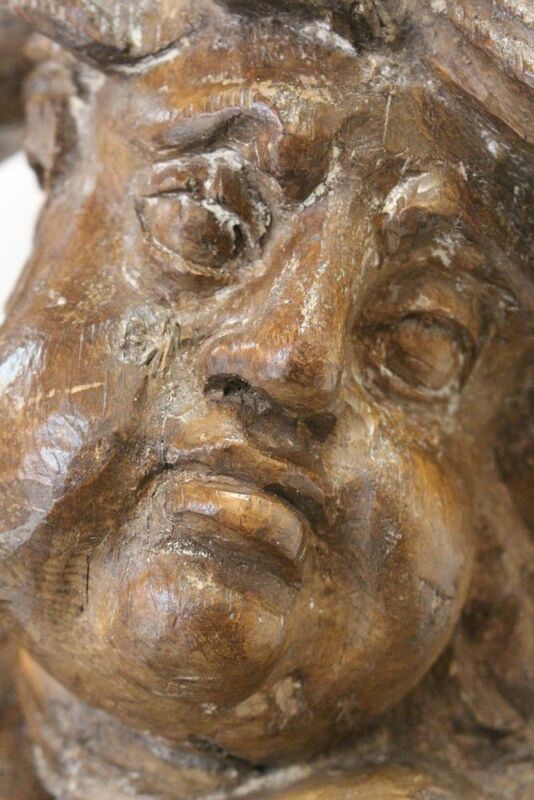 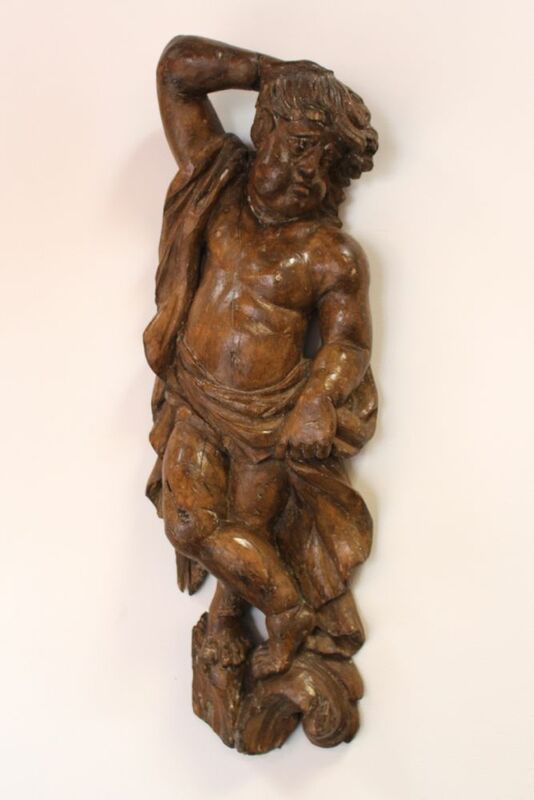 This is a lovely example of 18th Century wood carving, likely Italian. 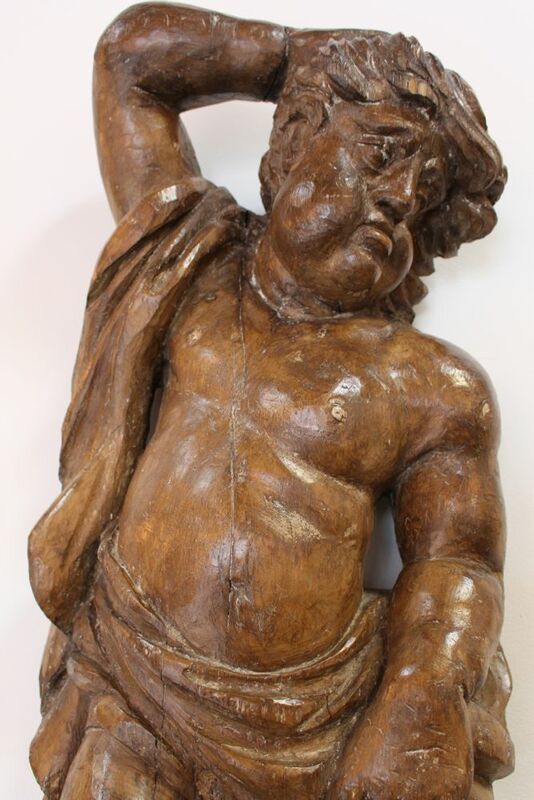 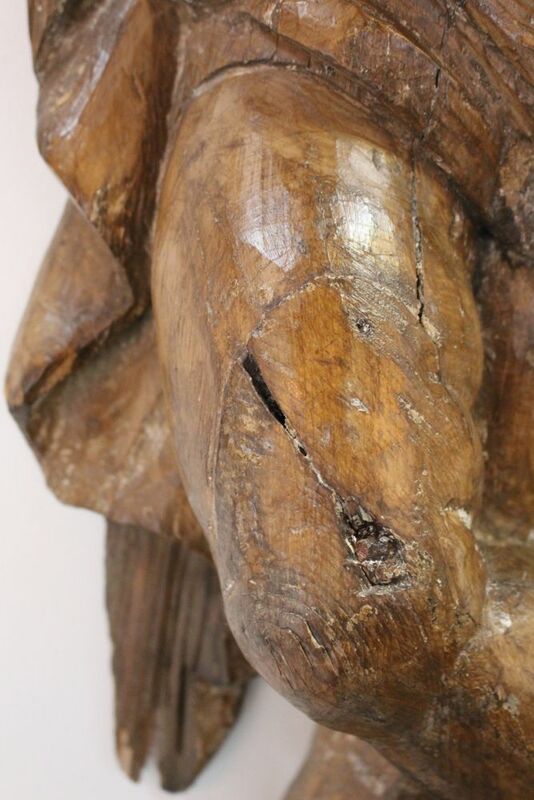 A figure carved from pine, this chubby boy ‘Putto’, (not to be confused with a cherub) were figures used in artistic motifs of the ancient classical world of art. 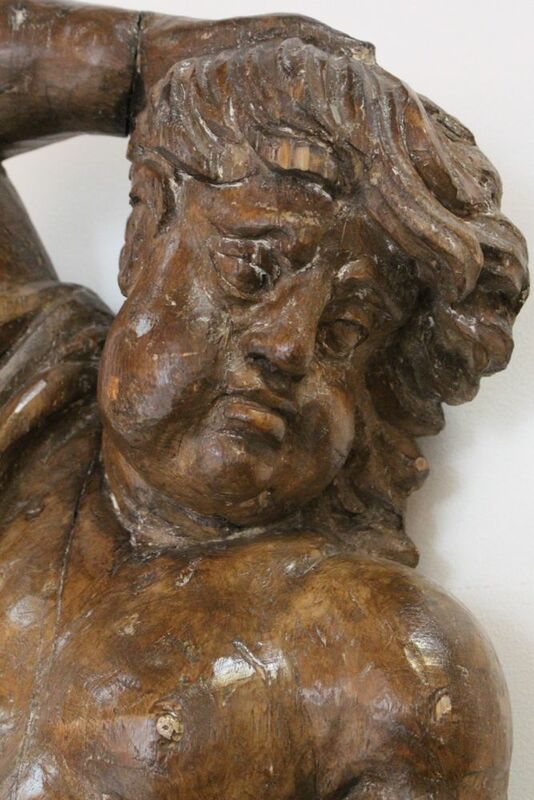 Often portrayed as naked and winged infants, the ‘Putti’ were believed to influence human lives, and became popularized again during The Renaissance. 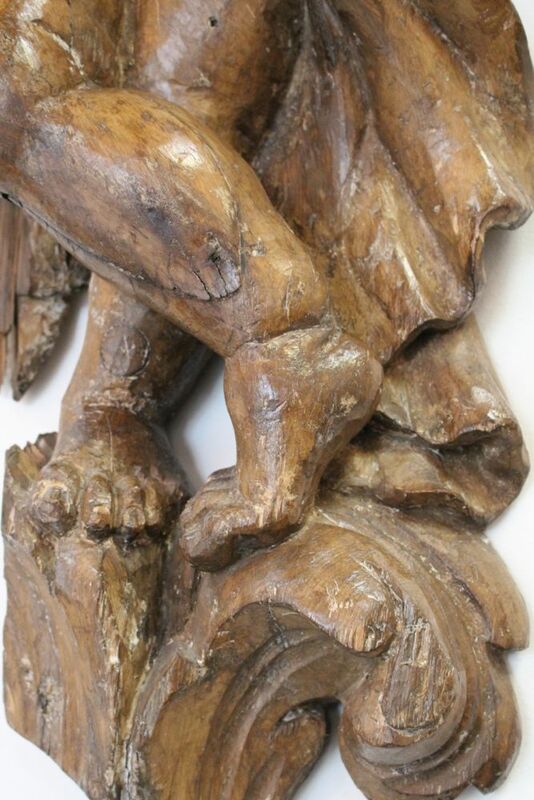 Most Renaissance putti are essentially decorative and they ornament both religious and secular works. 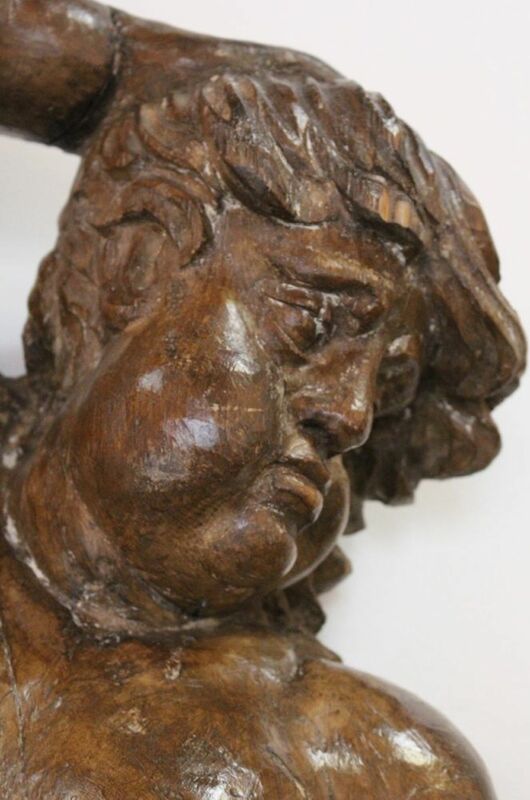 Tags: carving, cherub, putto, renaissance, sculpture, wood. 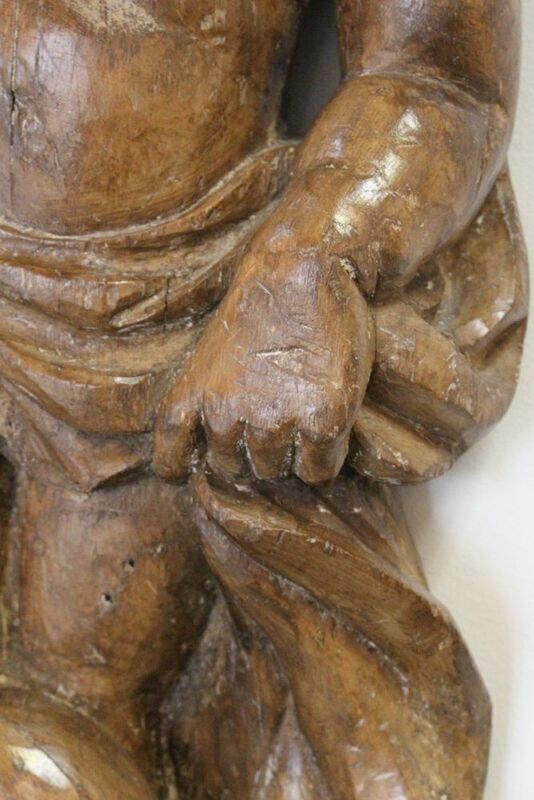 See more: Antique Sculptures, Architectural Pieces, Latest Antiques.